Get found locally by your customers – even on cell phone searches. 97% of the businesses in the USA are small businesses. Your customers want to do business with local businesses, so how can you get found? Get to the top of Google Places (maps) and beat your competition with our step-by-step approach to getting your business on top of the maps – including Yahoo! and Bing. A recent study found that nearly 100% of all cell phone searches go through Google. We’ll show you how to maximize your local search results and get found by all those smart phones too. 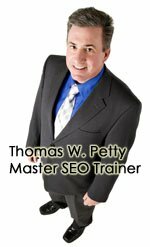 You can download Tom Petty’s blueprint here for some excellent info from a Webinar I attended the other day.